We are pleased to announce that registration is now open for the 2016 Piano Pedagogy Seminar! 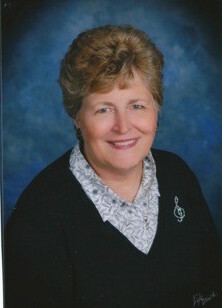 Our guest clinician this year will be Carolyn Miller, composer and piano teacher. She will present on “Matching Music to Inspire and Challenge Students,” and her series “Sportacular Warm-ups.” She will also lead us in a discussion session on “Why We Teach Piano,” and will do a masterclass. All are welcome to join us for this wonderful opportunity! Click here for the registration form. Please postmark by January 15, 2016 in order to be eligible for the discounted registration fee. – If you are willing to help provide refreshments for the day, please email Lynne Long. – If you would like your student to play in the seminar master class (music composed by Carolyn Miller, memorized repertoire), please email president Ana Yoder Coulter. There is still room for two or three more students, and we want to especially encourage beginning students to participate. First come, first served.